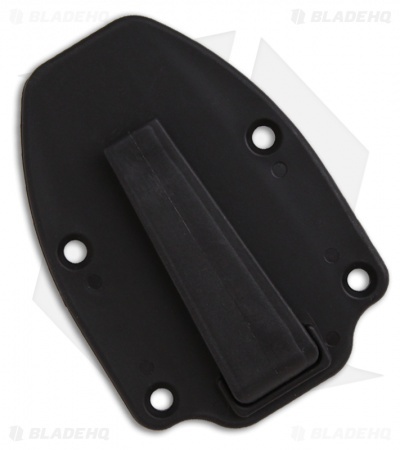 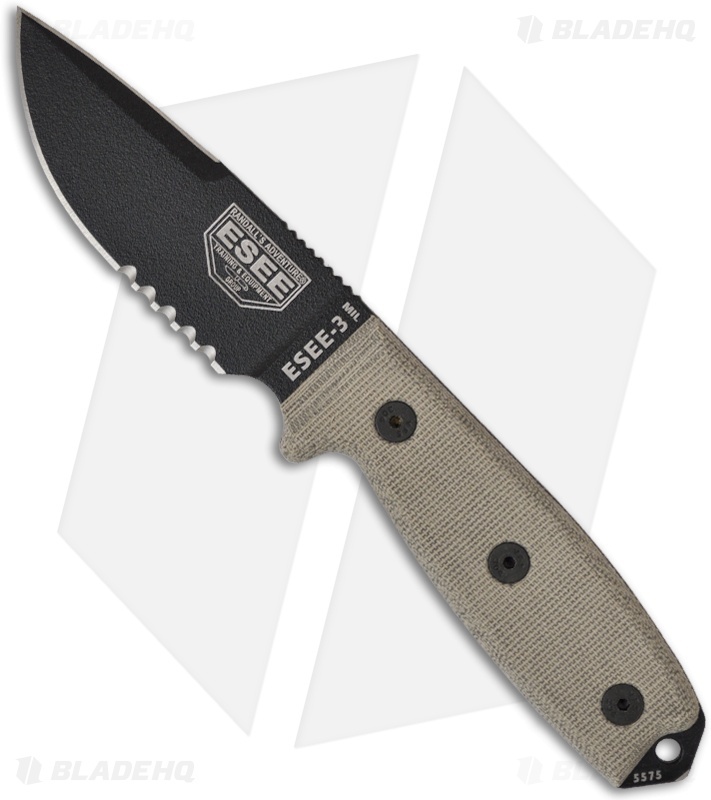 The ESEE-3MIL-S-CP fixed blade knife features a black finished 1095 steel blade with a partially serrated primary edge and sharpened top edge. Tan canvas Micarta scales and a sharpened glass breaker pommel. 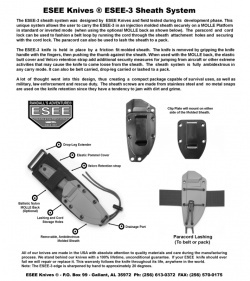 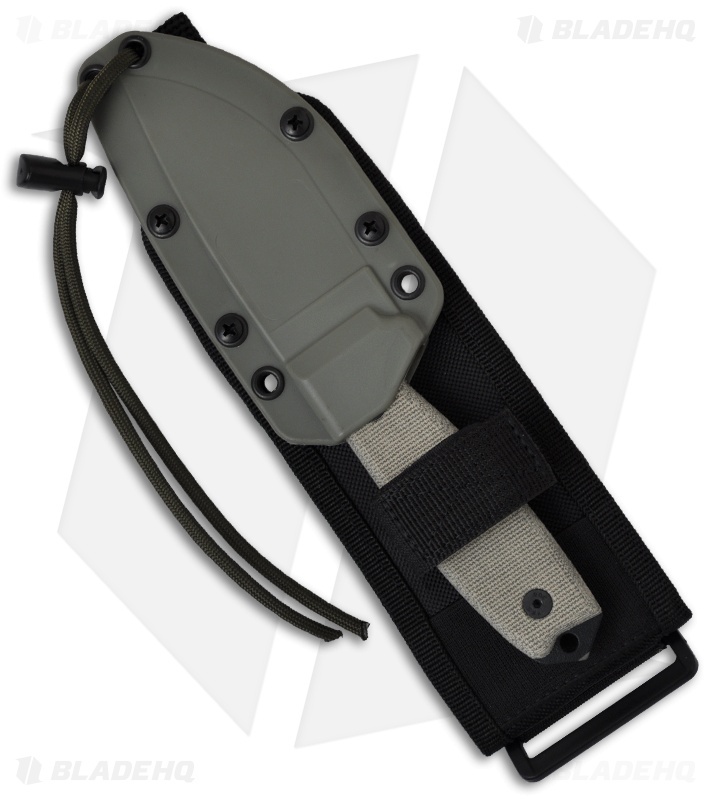 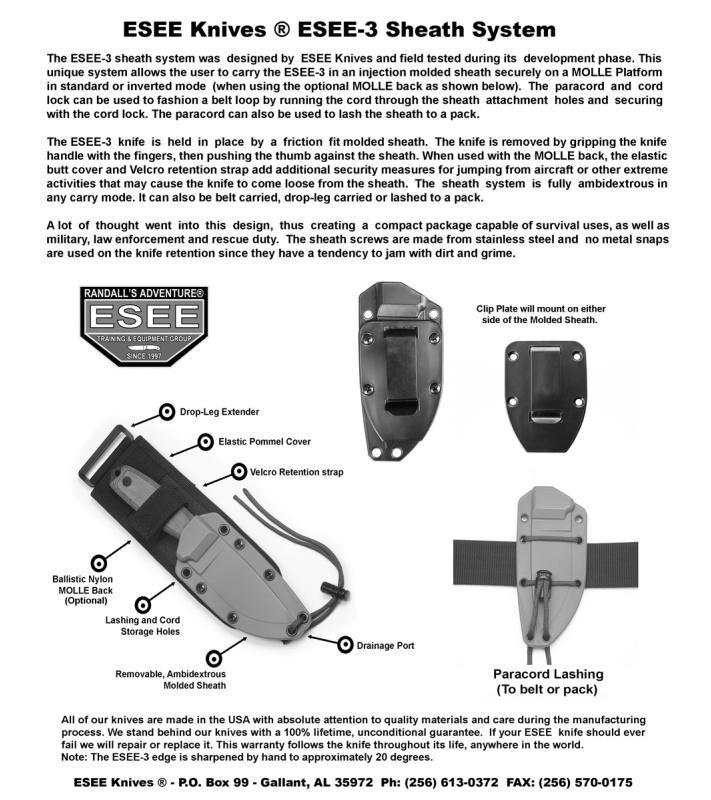 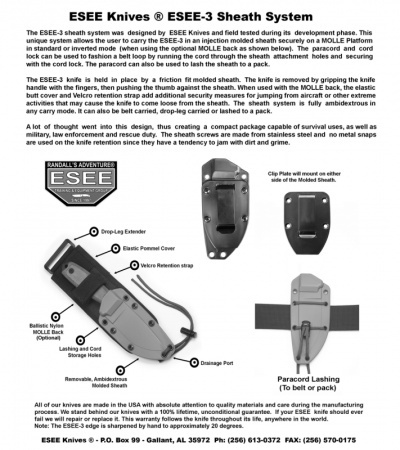 The ESEE-3MIL-S-CP includes a foliage green molded sheath, boot clip, paracord, cord lock, and Cordura MOLLE back.